Wall-to-Wall: What happened to Tiger Woods's nine-iron? 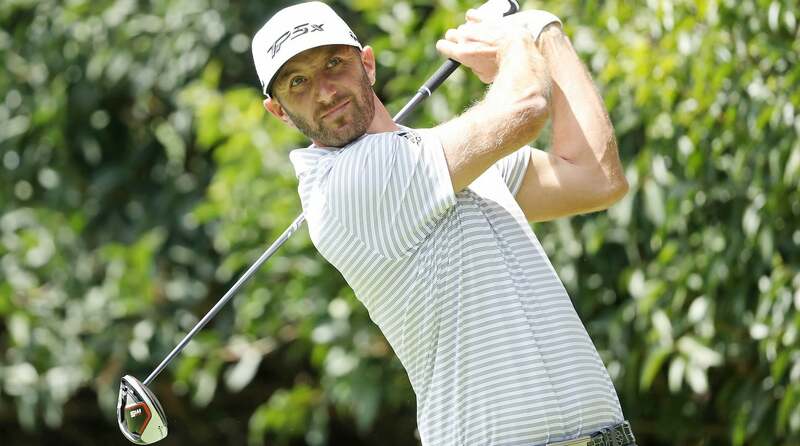 For as often as this weekly equipment roundup talks about the putters Dustin Johnson tests, the driver almost gets the same treatment over the course of a season. It's not uncommon to see Johnson alternate heads, test shafts or adjust the sole weights on the heels of a win. Like every player on the PGA Tour, the 20-time winner is looking for any conceivable edge he can get. Johnson opened 2019 with TaylorMade's M5 driver before making the jump to M6 in Saudi Arabia a little less than three weeks ago. The switch coincided with Johnson's search to get his ball speed up to 185 miles per hour, something he was able to accomplish after two days of testing numerous builds. Dustin Johnson is using TaylorMade's M5 driver for the second time this season. Johnson would go on to win the same week he transitioned into M6, but ultimately returned to M5 several weeks later after seeing more ball speed with low spin numbers that allowed him to max out his distance numbers. The 34-year-old would go on to average 330.4 yards off the tee with a little help from Mexico City's elevation. While most see Johnson's driver changes as simply "DJ being DJ," a closer look reveals a player who's actually very strategic when it comes to his adjustments. Just realized this is the second time in the last two seasons DJ has won with a new driver the first week out. Last year, Johnson opened 2018 in Hawaii at the Sentry Tournament of Champions with M4 because he felt it had a flatter flight that would be better suited for wind. As the season shifted to the West Coast Swing, Johnson wanted the ability to move the ball — particularly at Riviera — so he switched to M3 with the weights positioned in the far corners of the Y-track to produce the go-to fade shot shape he's been using for the last few years. There was also the conscious decision to cut the driver shaft one inch shorter (44.75 inches) at the U.S. Open after noticing a slightly stiffer overall profile and shorter length helped him find the center of the face on a more consistent basis — two things he thought would be a benefit off the tee at Shinnecock Hills. It's been more of the same this year for Johnson, who's embraced the opportunity to change if it gives him a perceived edge. Johnson may have logged his 20th Tour win with M5, but don't expect the club to earn a permanent spot in the bag. With a long season ahead, there's plenty of time for Johnson to tinker and find something different that works. Based on his track record, chances are good the next change could produce a win, too. In the past, Patrick Reed has tipped his Fujikura shafts roughly 1.5 inches for stability purposes. But with the equipment manufacturer's new Ventus (6X) offering, Reed opted to go without the tipping after testing the shaft for three weeks prior to the WGC-Mexico Championship. Reed told Fujikura Tour rep Pat McCoy he liked the shaft without tipping because it added more spin while still allowing him to turn the ball over without it falling out of the sky due to a lack of spin. Reed is the latest high-profile name to make the switch to Ventus, which is arguably the hottest 2019 shaft on Tour at the moment. A port in the sole, which concentrates more weight low in the head, is the defining feature that differentiates the club from a traditional game-improvement iron. And while the sole and topline are on the thicker side, it's more in line with shaping you'd find on a driving iron designed for the better player. Tommy Fleetwood's brief foray with an older-model Odyssey DFX 2-Ball Blade the past two weeks came to a close at the WGC-Mexico Championship. Fleetwood, who finished T45 and T28 in his two starts with the putter, returned to his White Hot Pro #3 blade after ranking 67th in strokes gained: putting at Riviera. Tommy Fleetwood returned to Odyssey's White Hot Pro #3 putter. 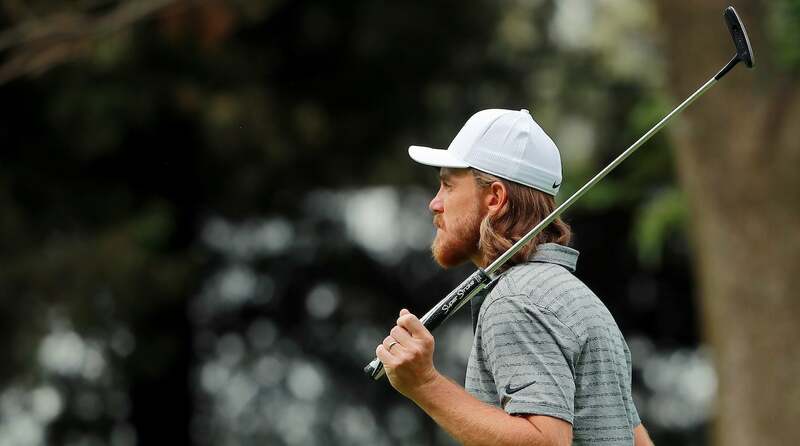 The time apart from his usual putter seemed to do the trick, as Fleetwood ranked 12th in strokes gained: putting on his way to a T19 finish at Club de Golf Chapultepec. Less than 24 hours after he pulled off one of the most epic shots of his professional career during the second round, Tiger Woods wrapped the TaylorMade P7TW 9-iron he used to execute the fairway bunker sorcery around a tree while playing his second shot on the eighth hole at Club de Golf Chapultepec. Woods quickly examined the club and determined the shaft had been bent, making it unusable for the final 10 holes of his round. Following the completion of play, Woods was able to get the club re-shafted locally with a fresh True Temper Dynamic Gold Tour Issue X100 shaft before teeing off on Sunday. Bubba Watson has a thing for cars with custom paint jobs. It only seems natural his affinity for custom paint jobs extends to the driver as well. Watson gave the traditional black crown on Ping's G410 a new look with a fade to hot pink on the back portion of the head. Watson's last name is visible in the transition from black to pink. Watson has used a one-off pink version of Ping's driver since 2012 when he partnered with the equipment manufacturer to raise money for his foundation. The year-long campaign saw Ping donate $300 to his charity for every 300-yard drive Watson produced (up to 300 drives). The thin air in Mexico City saw Brooks Koepka make a minor tweak to his TaylorMade M5 driver. The three-time major winner went up in loft from 9.5 to 10.5 degrees to keep the ball in his preferred window. The significant change in air density results in the ball moving more efficiently through the air with less lift and drag, resulting in more distance with a lower apex. Adding loft is one of the most common ways to increase launch and add spin. Quick-hitters: Jon Rahm added a 19-degree TaylorMade M5 5-wood. ... Billy Horschel went back to Fujikura's Speeder EVO 4 661 shaft in his PXG 0811X Gen2 driver. ... Haotong Li moved into a 9-degree TaylorMade M6 driver. ... Callaway won the driver count for the second straight week at the WGC-Mexico Championship. ... Jordan Spieth tested PuttOut's new putting mirror on the practice green. ... Ben Crane used Ping's G400 LST driver with a Fujikura Ventus 7X tipped one inch. Crane said his ball speed jumped up 4 mph with the build. ... Matt Kuchar moved into Fujikura's Speeder EVO 5 driver shaft.